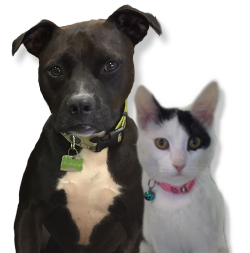 Are you or your pets new to Kauai or the State of Hawaii? Are you a current resident who just recently became a pet owner? This deadly disease is a big one in Hawaii and affects both dogs AND cats! Transferred to healthy animals by the bite of an infected MOSQUITO, the parasites mature and reside in the pulmonary artery of the heart. In dogs, clinical signs can include a chronic cough, exercise intolerance, or no symptoms at all in the early stages. Untreated, heartworm infections may lead to heart failure and death. In cats, heartworm infections may present with symptoms resembling respiratory disease or in extreme cases sudden death. Heartworm disease can be easily prevented by administering a prescription based medication orally or topically every month at home. In dogs not on prevention, a simple blood test is used to screen for infections prior to starting medication. For dogs that have never been on prevention or have had a time lapse in prevention, your veterinarian may recommend a follow-up check in 6 months despite an initial negative result. This is due to the maturation cycle of the parasite and when the disease becomes detectable with a blood test. Should your pet test positive for heartworm disease, your veterinarian will discuss treatments options. NOTE: There is NO treatment for feline heartworm disease. Prevention is vital. Also, indoor only dogs and cats are still at risk for contracting heartworm infections due to mosquitos that frequently come indoors. Indoor living is no reason to skip monthly prevention. This bacterial disease is found in certain areas of the country including Hawaii. Found in streams, rivers, or stagnant ponds, this bacteria is shed in the urine of infected pigs, rats, and cattle that then contaminate fresh water. Leptospirosis is a “zoonotic disease” meaning that it can be transferred from infected animals to humans. Transmission occurs through direct contact with infected urine or from swimming in/ swallowing water containing the organism. It crosses mucous membranes of the mouth, eyes, and genital area or through open wounds and cuts. Untreated, leptospirosis can cause liver problems, eye problems, and most notably kidney failure resulting in death. Treatment is usually aggressive and may involve IV fluids, antibiotics and general supportive care depending on the severity. In advanced stages the prognosis may be poor for a full recovery. Vaccines are available for dogs and come highly recommended if living in endemic areas; Kauai specifically. Certain activities increase the chance for exposure including hiking, hunting, or access to swim in/drink from areas with fresh, standing, or brackish water. Dogs that do not partake in such activities are still at risk as rats enter any yard especially if there are attractive fruit baring trees. Hense, they can deposit the leptospirosis bacteria on your property. Prevention should be aimed at yearly vaccination but should also include rat and pig eradication in your area and discouraging ingestion/access to unfiltered mountain water or ponds. These critters are toxic. 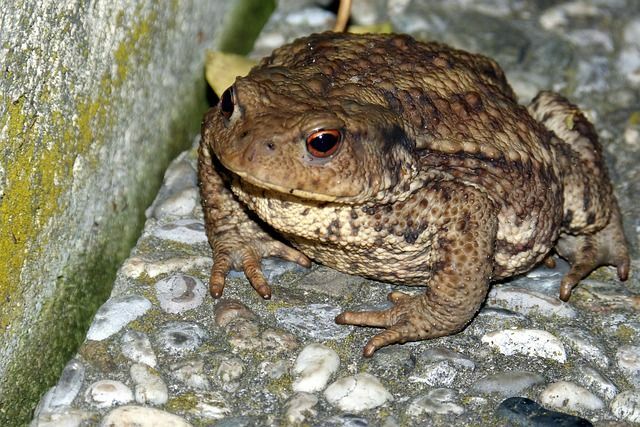 Most active during the early morning and evening hours, Bufo toads are common yard dwellers making them prime targets for the curious dog, less often cats. When threatened, bufo’s secrete a poison that is rapidly absorbed across the membranes of the animal’s mouth (as dogs quite frequently attempt to lick or hold them in their mouths). Following exposure to the toxin, foaming and increased salivation from the oral cavity happen almost immediately. Pawing at the face, mouth, attempts to vomit/retch or shaking of the head are also common. Gums may also turn red. With large doses or lack of decontamination, symptoms may progress to include seizures, collapse, heart arrhythmias, panting, and death in as soon as 30-60 minutes from initial exposure. Immediate decontamination is VITAL. If your pet is conscious and has otherwise normal mentation, active flushing of the mouth with water is imperative to stopping further absorption. Flushing (water hose is handy) in an angled direction from the side of the mouth so water can drain out (avoid going down the throat) should be done for at least 5-10 minutes. This then warrants a call to your veterinarian to determine if further treatment is needed. If your pet’s mental state is at all questionable or if symptoms have already progressed, contact your veterinarian IMMEDIATELY for advice. One disadvantage to tropical living is the large parasite burden present all year round. Internal parasites are commonly acquired through ingestion of contaminated soil/ feces, skin penetration, hunting (rats and geckos esp. cats), or ingestion of fleas. Depending on the parasite, symptoms can range from none at all to chronic diarrhea (with or without blood), vomiting, coughing, anemia, weight loss, mal-nutrition, liver problems, and death in severe cases. Fleas and Ticks are extremely common in Hawaii and can cause skin problems, transmission of various diseases (to animals and people), and life threatening anemia in severe cases. These critters are a nuisance and can be very difficult to eradicate once the pet and environment (indoor and outdoor) have been infested. Your pet’s lifestyle and living area are prime factors to consider when choosing parasite prevention options. A variety of over the counter and prescription medications are available. This is an important discussion to have with your veterinarian so the best product or combination of products can be chosen for your pet’s specific needs.